View More In Batteries - Page 7. Power Sport vehicles use the oldest and most reliable type of rechargeable battery, the lead acid battery. Chrome Battery offers a large inventory of power Sport batteries to replace your existing battery. AGM sealed lead acid batteries are considered the highest performing battery available on the market today. Each Chrome Battery YTX12-BS high performance power sports battery, maintenance free and fully charged power sports battery is constructed with lead calcium alloy and absorbed glass mat technology, which allows a completely 'maintenance-free' operation. No spills, no leaks & no water to check, AGM separators for superior design, heavy duty terminals, extreme vibration resistance, improved life cycle performance, supplied factory activated (filled, sealed & charged) for immediate use. All Chrome Battery AGM power sports batteries are manufactured with the highest quality materials and rigorously tested to ensure safety, OEM compatibility, effectiveness and optimal performance. Top notch customer service and satisfaction is our top priority at Chrome Battery. 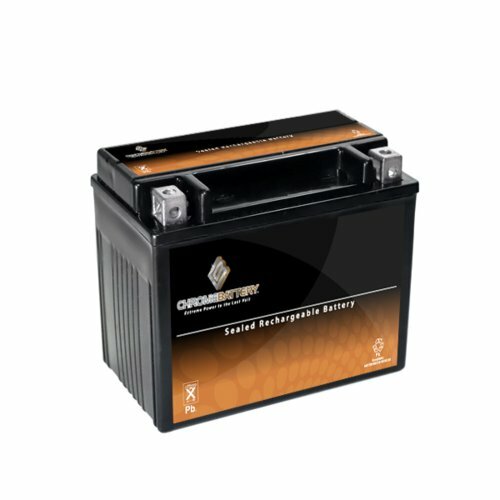 Affordable pricing, Midwest location in the heart of America (INDIANA), All orders placed by 3Pm (EST) will ship same day extremely fast shipping (2-3 business days) Chrome Battery strives to provide every customer with an exceptional buying experience and top quality power sports batteries at unbeatable prices. Thank you for choosing Chrome Battery for your battery purchase; your business is greatly appreciated. Top technology: The acid inside is constructed with Absorbed glass mat technology allowing for a low-maintenance and spill proof battery.